As IPv4 addresses are already exhausted before the beginning of Internet of Thing (IoT), IPv6 is widely used to assign unique identity to IoT nodes. In this article, the analysis of different components required in assigning IPv6 addresses to IoT nodes, a survey of IPv6 address assignment schemes and an examination of the different kinds of IPv6 addresses are presented. 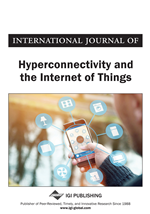 This article highlights the architectural complexity of IoT technologies, protocol stacks, limitations of IoT nodes, renumbering, multihoming, the merging of IoT network and other challenges towards assigning of IPv6 address to IoT nodes. A comprehensive survey on recent addressing schemes with classification based on allocation tables and spatial information are presented. This survey describes the address allocation mechanism, performance on different metrics, the area of applicability, and the merits and demerits of different addressing schemes. It also describes the future research options addressing IoT. The different terminologies which form the IoT infrastructure can be presented in many ways. This section starts with the different definitions of IoT. The RFID group defines IoT as, “The global network of interconnected things uniquely addressable depend on defined communication protocols”.